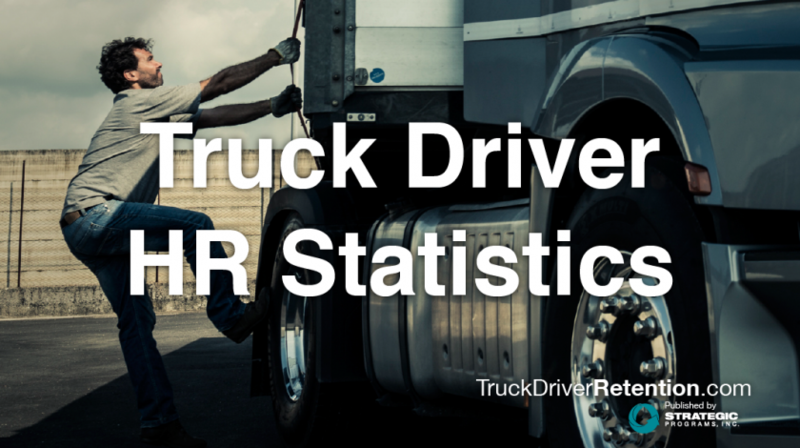 Driver turnover costs trucking companies an average of about 3 million dollars every year. While this amount can vary based on things like fleet type, location and driver salary, it’s clear that the impact to the bottom line is significant. Beyond the upfront cost, we must also consider the adverse impact on retained drivers that results when drivers are overworked and overstressed dealing with an increased workload. Turnover is a serious problem that needs addressing, especially when it most frequently occurs in the critical early days of a driver’s tenure. 54% of trucking’s exits left within just their first six months. It’s important to ensure that new drivers are given enough support and attention so they remain and become long-term contributors to the organization. According to People Element’s industry data, first-year driver turnover is at an average of 74%. While turnover among any population is painful, it is especially difficult when it occurs within the first year on the job. With a skilled position like truck driving, the first year consists of a significant amount of training, which means that all of those costs are unrecoverable if the person departs. 72% of driver exits are preventable, proving the opportunity for trucking companies to make changes and improve the driver’s jobs. Turnover reasons commonly found for this population include compensation and mileage, schedule and off-time, and management. The cost of recruiting and training professional drivers is significant and fleets that want to turn the tides must make a concerted effort to target this population and support the needs of the people within it. One of the most effective ways to reduce driver turnover is to better develop fleet managers through extensive fleet manager training. This has proved to be successful with several clients including Eagle Transport Corporation. Fleet manager training is not only a cost effective way to make sure your fleet managers and drivers are well trained but it also ensure the two roles maintain a positive and productive relationship. The goal is to continue educating, mentoring, and supporting fleet managers so their new drivers become competent, confident contributors. Another best practice for retaining drivers is by helping provide a voice and an outlet for feedback on driver satisfaction. During a panel discussion on driver retention at a trucking conference, a highly skilled, tenured driver said that the one thing that would cause her to consider leaving her organization is if she felt that she no longer had a voice and her opinions and suggestions didn’t matter. People Element regularly identifies this as an opportunity for improvement within fleets. If you don’t gather driver feedback, you won’t know that this is an issue in your fleet and you won’t know what actions to take to make improvements. A third important area to focus on in order to positively affect driver retention is setting clear expectations up front with all new drivers. Expectations not matching reality is a common cause for driver turnover, and there are a few simple processes that can be operationalized in any fleet that will help set clear, appropriate expectations up front. The exact steps and processes are different for each fleet, but knowing up front (through driver feedback) which expectations are consistently not matching the reality of a driving job goes a long way toward building a strategy for managing expectations. There is no silver bullet for reducing driver turnover. So much depends on each individual fleet’s operations that it’s difficult to create a retention strategy without an acceptable amount of data, including feedback from your driving population to find out what keeps them with you and what causes them to leave. If you’re ready to take the next step toward creating an effective driver retention strategy, People Element can help.